If you have followed the Gorilla Weekly for a while now, you may have come to realize that we like initiating a new series every once in a while. Whether it be an open ended series like Freelance Friday, or just a temporary series like the Ultimate Guide to Toilet Clogs, series can be a great way to put out consistent contect and keep readers interested. Well today, I want to introduce our latest series: "Innovative Plumbing Solutions". With this series, our goal is to educate readers about the latest in innovative plumbing systems and how they work. For example, we are planning on starting out with institutional plumbing solutions such as Sloan's PWT MicroPlumb and Acorn Engineering's AcornVac. Although those are the two we plan on starting with, we will be keeping our eyes open for any new systems that come along and we may even cover innovative residential solutions. 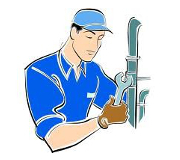 If you have any recommendations for plumbing solutions that we should cover, please tweet at us or leave a comment below. Happy Friday to all, and be sure to keep an eye out for new blog posts covering innovative plumbing solutions.